What is browsing in private with incognito mode mean and how do I do this? You can surf the web and Google Chrome will not save a record of the pages that you have visited when you browse in incognito mode. To do this, you need to open an incognito window on your laptop or Chromebook, once the window is open you can browse without a record of your activity. Anything that you download however will be saved to your downloads folder. What does “Temporary Error (502)” mean? This error is associated with a common error in Google Drive and could mean that your documents are temporarily unavailable. Generally, this error will resolve itself within a couple of minutes. If Google Drive loads but you are unable to view your files, try clicking on another view, such as “all items” or “owned by me”, doing this should make the error disappear. Websites can determine if you are a first-time or a returning visitor. The first time that you visit a website, your computer is assigned a ID number and a record of the date is stored in a file called a cookie. The next to you go to this same website, this cookie is read to determine if you have been to the website previously. These cookies are used for the purpose of displaying ads, for a first-time visitors these ads could be introductory advertising and for a repeat visitor the ads could differ and appear as never seen before ads. These ads are often targeted to your shopping interest and interests. How do I manage my bookmarks? You are able to edit, delete, and organize your bookmarked webpages. You are also able to update your bookmarks across other devices, learn how to manage your bookmarks by visiting the Manage Bookmarks page. How do I fix webpages that open slowly or not at all in Google Chrome? If you are unable to a webpage or it loads slowly in Google Chrome try closing and restarting Chrome. If by chance, multiple webpages will not load for you or your Chrome browser keeps crashing you can lean how to repair Google Chrome if it is crashing or will not open. Try to load the webpage again. If these steps above did not work and you still experience the same issues continue to the next steps. Try closing all other tabs except the one with the page you are trying to load. Try using a different browser to load the same webpage you are experiencing the issues with. If you experience the same problems, it is most likely that the issue is either resulting from your device or the webpage itself. You can Report Issues to Chrome regarding webpage crashes. Contact the owner of the website to report the issue. If the webpage cannot load in a different browser, they may be an issue with the website. The last thing you can do it to try using another device to load the webpage. If this works for you, there a few more things that you can do to try and fix this issue. Check to ensure that you have an internet connection. Check to see if there are any Windows updates available for your laptop. How do I clear out my web browsers history, cookies, and cache? From the menu bar, click the three horizontal lines icon, click More Tools, and choose Clear browsing data. Check the boxes for Empty the cache, Delete cookies, and other site and plugin data. From the menu bar, click on Safety, and select Delete Browsing History. Check the Temporary Internet files, Cookies, and History boxes, and click Delete. From the menu bar on the right side, click on the Gear icon, choose Internet Options. Click Delete…, check the Temporary Internet files, Cookies, and History boxes, and click Delete. Lastly, close and reopen Internet Explorer. From the Time Range drop-down menu, choose Everything. For the Details, check Cache, Cookies, and Active Logins. Then select Clear Now. From the menu bar, click on Safari, and select Empty Cache. Once the box comes up, click Empty. If you tried the above steps and are still having issues, click on Safari, and choose Reset Safari.Check only Remove all website data. From the menu bar, click Safari, and choose Reset Safari. Check only Remove all website data. From the menu bar, click on Safari, and choose Preferences. On the Privacy tab, select Remove All Website Data. With many issues, it is prudent to try the same service or system in a different web browser. The Bethel University IT Help Desk recommends downloading the free web browser Mozilla Firefox. When websites are updated, or servers change, you may need to clear the DNS cache to refresh the information for the computer to access those sites again properly. How do I bookmark a webpage? You are able to save webpages that yo’d like to access again with the use of bookmarks. Are cookies a threat or dangerous? No, cookies are not a security threat as they do not contain personal information such as passwords, your name, or address. You are simply being identified on the website as a first-time or repeat visitor. “Aw, Snap!” page crashes, how do I fix this? When you see an “Aw Snap!” message, Google Chrome is having issues and cannot load the page you are trying to access. There are however a few things that you can do that may be able to correct this problem. If the page will still not load, restart your device and try loading the page again. After you have tried all of these troubleshooting steps and still receive the “Aw Snap!” message, you can send feedback to Google but clicking on the message at the bottom of the page that says Send Feedback. Where do I find the user manual for my Chromebook? You can locate the user manual for your Chromebook directly by clicking here. When will I receive my laptop or Chromebook? Technology is shipped directly to students or given to students in person during New Student Orientation prior to the start of class. If you did not receive your technology please contact your Adviser and they will assist you in receiving your technology. In a sense, your Chromebook is another breed of a laptop. 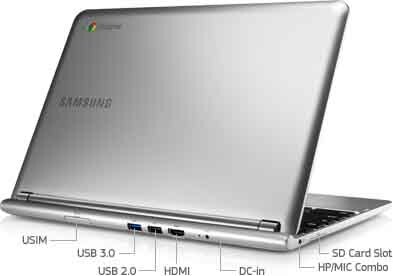 The major difference between your Chromebook and other laptops is its Google Chrome operating system (OS). Your machine is designed to run the Google Chrome OS instead of Microsoft Windows or the Mac OS. Another difference which distinguishes your Chromebook from other laptops, is that its applications and documents are stored in the cloud rather than a slow internal hard drive. Accessing your applications and documents is easier and quicker. You can also access your apps and documents from multiple devices across various platforms. With virus protection built-in, multiple layers of security, and automatic updates, your Chromebook keeps your documents and applications safe from viruses, malware, and other possible security issues. Learn more about your Chromebook here. What are the different types of display ports on my laptop? 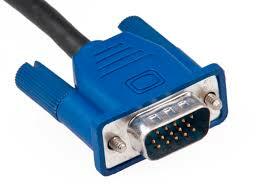 The Video Graphics Array (VGA) is the analog standard for connecting monitors to computers. Generally these cables ends are colored blue. 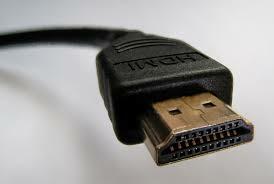 To setup your VGA connection, simply plug up your monitor or television with a VGA in the corresponding VGA port and plug the other end of the cable to your computer. I did not receive my laptop or Chromebook, what should I do? Technology is shipped directly to students or given to students in person during New Student Orientation, prior to the start of class. How do I video chat with my Chromebook? Using your Chromebook you are able to video chat with up to 9 people by using the free Hangouts app. Press the search key . Click the blue Submit button to start your video chat. How do I remove documents from my Chromebook that synced with my Google Drive? You can remove synced files from your Chromebook by turning off your Google Drive. Make sure you are online, and login to your Chromebook. Navigate to your Google Drive by going to drive.google.com. Click on the setting icon in the top right hand corner. From the offline area,uncheck the box next to:Sync Google Docs, Sheets, Slides & Drawing Files to this computer so that you can edit offline. How do I open, save, search, or delete files from my Chromebook? Your Chromebook allows you to use file such as images, media, documents, and PDF documents. These files can be can saved, opened, and deleted from your Chromebook, Google Drive, and even an external hard drive. A complete list of file types, storage drives, and peripherals that are compatible can be found here. You can search for files by clicking the search key (magnifying glass key on keyboard).The search results reflect matches from the folder that you are in. Using the left menu, you can choose the files yo’d like to view. Click the launcherat the bottom left corner (magnifying glass icon). Click the file or a folder that you want to delete. You can save a page you are viewing as a file by using the keyboard shortcut, Ctl + S and then choose the location where you would to save it. If you wan to save a file to your Chromebooks hard drive, you will need to select the downloads folder. If you want to access you file anytime online and from any device, you will need to selectGoogle Drive. **Please beware that files in your downloads folder will automatically be deleted if your Chromebooks memory is running low. Where your account picture appears, click on the status area. How do I manage WIFI networks on my Chromebook? This feature is helpful especially if you have use several networks and spend a majority of time near a specific network. From the status area where your account picture is, click the status area. In the Internet connection area, choose WIFI network. Place a check in the box for Automatically connect to this network. This feature is useful to designate which network you prefer to connect to when surrounded by more than one. Place a check in the box for prefer this network. Sometimes it is useful to clear your network list of networks that you no longer need access to or use. Forgetting networks helps eliminate networks in your list that are no longer want to see in the list. Use the touch-pad or mouse to point at the network you wish to forgot and click the X. How do I make phone calls with my Chromebook? You can make free phone calls within the US and to Canada with your Chromebook using the Hangouts app. You are able to call multiple numbers simultaneously, and also combine phone calls using the multi-way video chat,getting everyone on the line at one time. Choose Add Telephone and enter the phone number. Click the green Call button to be connected. Find out more about phone calls using Hangouts here. How do I access documents on my Chromebook from Google Drive while I’m offline? If you want to get to and access your documents on your Chromebook when you are offline or not connected to the internet, you will need to make them available offline. You can use Google Drive to edit and view saved documents while offline. You will need to make sure Google Drive is turned on so that you can save documents for offline use. From the offline area, check the box next to: Sync Google Docs, Sheets, Slides & Drawing Files to this computer so that you can edit offline. Your files will now begin to sync with your Chromebook and your Google Drive, depending on the amount and size of the files this process may take several minutes. From the offline area, uncheck the box next to:Sync Google Docs, Sheets, Slides & Drawing Files to this computer so that you can edit offline. How can I move files from my Chromebook’s “downloads” to my Google Drive? Files can be moved from your Chromebook’s”downloads” and into your Google drive by clicking and dragging them to your Google Drive folder. Can I change the settings for my Chromebooks touchpad? You can make changes to the way your Chromebooks touch-pad works and how the mouse pointer moves. After signing into your Chromebook. Click the status area where your account picture is. Under the Device area, use the slider to adjust the speed of your touch-pad or mouse pointer. If you experience issues with your touch-pad not functioning, there are troubleshooting steps you can try to resolve this issue. It is recommended that you test the touch-pad after each step to see if it starts working. Examine the touch-pad for dirt, dust, or other obstructions. Press the Esc key multiple times. Drum or tap the touch-pad for at least 10 seconds. Perform a hard reset on your Chromebook. Lastly, login to your Chromebook to see if the issue still occurs. If logging in with a different account reveals that the touch-pad works, you will need to remove the account that causes touch-pad issues and then re-add the account. You can reset your Chromebook to factory default settings by performing a hard reset. Use a paperclip, press the small hole on the backside of your Chromebook as indicated in your user guide. How do I sign in to the E-Portal? How do I send files or attachments from my Gmail? In order to send files or attachments from your Gmail you will need to know where the file is located in your computer. To attach a file to your new email message, click the paperclip icon, next to the send button. Now you will need to browse to your files location and click on it. Remove attachments from your email message by clicking on thexnext to the file near the bottom of your message. Many email systems place limits on the size of file attachments to no more than 5 or 10 megabytes in size. Gmail allows you to send attachments up to 25 megabytes (MB). There are a number of alternatives to sending files which are larger. Google Drive comes with 15 GB of free storage and allows users to transfer files of larger size between computers with ease and very little hassle. How do I reset my Bethel student email password? How do I login to my Bethel University student Gmail account? How do I email a very large file? Many email systems place limits on the size of file attachments to no more than 5 or 10 megabytes in size. There are a number of alternatives to sending files which are larger. Can I pop my Bethel Gmail account? HTTP (Hyper Transfer Protocal) is the communication protocol or language which enables web browsing. HTTPS (Secure Hypertext Transfer Protocol) Indicates a secure and encrypted http connection. A strong password includes the use of letters (upper and lower case), numbers, and special characters. A strong password generally has a minimum of 12-14 characters in length. Includes the use of numbers, special characters,capitol letters, and lower case letter. Doesn’t include common substitutions -for example,”Learn1ng” in’st strong simply because a 1 was used instead of i. You can mix it up and create strong passwords -for example, “LiquidLearning!123” fits most of the above requirements. It is 18 characters long and includes upper and lower case letters, a symbol, and some numbers. But it is however fairly obvious because of the words in the phrase are found in the dictionary, the letters a capitalized in the traditional way, there is only one symbol, all the numbers are on the end and in order. A great way to create memorable passwords which are strong is to think of a phrase. This phrase creates the password- Mftft5gwMrs.R!! Use the first letter of each word to generate your strong password, don’t forget to include special characters! What do I do if my Kindle E-Book isn’t in my library for my new Conflict Resolution class? Please be sure to include your full name and the class you are enrolled when sending this email. What are the technical requirements needed to attended the virtual new student orientation using AnyMeeting? How do I protect my personal sensitive information while using the internet or email? There are a number of ways to ensure that your personal sensitive information is safe while using the internet or sending an email. Use trusted and secure websites when entering your personal sensitive information. Look for a secure connection on websites, https (not http) should appear in the websites URL address. The S in https indicates that the site is a secure connection. Use caution when working over a wireless connection. Any sensitive information including passwords that are sent over a non encrypted wireless connection are relatively easy for hackers to intercept. Don’t send personal sensitive information via text or instant message as these are generally not secure methods. Use extreme caution with file-sharing software as this opens your computer up to possible attacks from hackers and malicious files. How do I get back to my Bethel University online admissions application? How can I test my computer to see if it meets the technical requirements to attend the virtual new student orientation? From the system test page you are also able to test your network connectivity and speakers. How can I improve my audio quality for the virtual new student orientation? Do I need to download or install any software to attend the virtual new student orientation? Not at all. You will be provided a link to the meeting and will be able to use the newest version of Internet Explorer, Mozilla Firefox, Chrome or Safari Web Browser to attend you virtual new student orientation. Why do I see the error: “Your Google Drive folder is missing”? This is a common error that occurs when you rename, move, or delete the Google Drive folder from your computer. What types of files can be converted to Google Docs, Sheets, or Slides? What is Optical Character Recognition (OCR) in Google Drive? Optical Character Recognition (OCR) uses automated computer algorithms to convert images that include text into text documents. These images can be converted individually or in multi-page PDF documents. Some types of files that are compatible with OCR are image or PDF files obtained from flatbed scanners or photos taken with digital cameras or mobile phones. The maximum file size for images including .jpg, .gif, .pgn, and .pdf is 2 MB. The language, fonts, and character sets for the Google OCR engine recognizes a very large assortment of character sets automatically. The OCR engine can read left to right, right to left, and text written vertically. Better results are common with Ariel and Times New Roman fonts. Google Sheets is an online spreadsheets application, allowing for online collaboration with others. You can import your existing Excel documents into Google Sheets, as well as create and edit new Sheets easily. There is a variety of templates and pre-made spreadsheets to choose from, including colorful charts and graphs. There are also built-in formulas and pivot table that will save you time and simplify your work.You can access and edit your spreadsheets from anywhere using a smartphone, tablet, or computer. You can find more information on Google Sheets here. Google Drive is an online space where you can store all your documents. Keep all your work in one place, view file formats even if you don’t have the software, and access your files from any device. When you change or delete a file stored in one of these locations, Drive makes the same change everywhere else so you do not have to. Google Docs is an online word processor that allows you to collaborate with others in real-time, create and edit new documents, and convert existing Word documents into Google Docs. Google Docs allows you to easily format text and paragraphs by offering hundreds of fonts, add links, images, and drawings. You can choose from a wide variety of templates, reports, and pre-made documents. You can access your documents from anywhere with your smartphone, tablet, or computer. You can find more information on Google Docs here. How do I create a spreadsheet with Google Sheets? You can create spread sheets and collaborate with others in real-time using Google Sheets. A new spread sheet will open, this spread sheet saves itself automatically while you work. How do I create a presentation with Google Slides? You can create presentations and collaborate with others in real-time using Google Slides. A new presentation will open, this presentation saves itself automatically while you work. How do I create a document with Google Docs? You can create documents and collaborate with others in real-time using Google Docs. A new document will open, this document saves itself automatically while you work. How do I convert documents into Google document formats? Using your laptop or Chromebook, go to your Google Drive settings. Click the check box that says, “Convert Uploads”. This feature enables you to upload files like Microsoft Word and convert them upon opening them. Here is a list of the types of files supported by Docs, Slides, and Sheets. Upon converting your files to Google Docs, Sheets, or Slides, you can save and export them back into an Office format. Where do I find the user manual for my HP 4535s laptop? You can find the user manual for your HP 4535s laptop at the HP website. The spec sheet for your HP 4535s laptop can be found on the HP website as well. Where do I find the user manual for my HP 450 laptop? You can find the user manual for your HP 450 laptop at the HP website. Where do I find the meaning of a cryptic error message? To find out what the meaning of a cryptic error message is, you should Google it. Type the error message/error number into your Chrome Browser. Where do I control the sounds that my computer makes for common actions? On the pop-up menu, you are able to changes the sounds that Windows makes during common actions. When you are finished making change, click Ok.
What should I do if my laptop freezes? If your laptop freezes, dead locks, or stops responding you can follow some basic steps to attempt to unfreeze it. Wait, and give it a little time. Sometimes a computer just needs a few minutes to process the tasks it has been assigned. See if the computer can respond to keyboard strokes: press the caps lockkey to see if the caps lock LED light indicator comes on. If the Caps lock LED light comes on continue to the next step, if not, you will need to reboot the computer. Press the Clt, Alt, and Delete keys to open Windows Task Manager. You will see a menu where you can choose, Start Windows Task Manager. Be patient as it may take a moment for the task manager to open. Press and hold down the power button until the computer turns off. Wait a few moments for it to power off and then turn the computer back on. What should I do if I cannot print from my laptop? When you are trying to print to a traditional printer from your laptop, there are several troubleshooting steps which can help you print your documents. Keep in mind that printers all come with printer “driver” software. This software must be installed on your computer before you are able to print. Ensure that the printer is turned on and that all cables are plugged up firmly. Check to see if there is paper in the printer. Check to make sure the printer cartridge is not empty. Normally you will see a message either on the printer itself or on your computer that will tell you when the paper or ink needs to be changed. Ensure that you are printing to the intended printer. Right-click on the printer you are trying to print to and select Set as default printer. You will see a green check on the printer icon when it is set to default. Try unplugging the printer’s USB cable and plugging it back in. Re-install the printer driver software. Safe Mode is a troubleshooting option in the Windows operating system. When entering Safe Mode, you enter the operating system on a limited basis with only the basic drivers and files needed to run Windows. You will notice the words Safe Mode in the corners of your screen when you are actually in Safe Mode. While in Safe Mode, you can determine causes to issue you find while trying to use Windows normally. If your existing issue doesn’t happen while you are in Safe Mode, you have the ability to eliminate the default settings and basic device drivers that could be causing issues. If your computer automatically starts up in Safe Mode, there is problem exists that is preventing Windows from loading normally. If you have recently made changes to drivers, installed components, or programs- you can try reverting these changes or uninstalling these programs while in Safe Mode. What is Adware or Spyware? How do can I protect myself from Adware or Spyware? Adware and spyware are software programs designed to gather information about you and your internet browsing habits for marketing purposes. These programs gather information by means of advertisements and embedded applications. Often these programs are installed automatically because they are bundled in with other software and are sometimes difficult to uninstall traditionally. Adware is designed to feed advertising by means of pop-up ads and/or toolbar installations, these tool bars will often redirect your searches to unintended sites. Spyware monitors your computer and internet use, some of the effects include “keyloggers” that can capture of your keystrokes, credit card numbers, passwords, and sensitive information. Read the fine print when downloading and installing software programs. Do not click unfamiliar links in pop-up windows, the best way to close a pop-up window is to right click on it in the task-bar and select Close or select active window and use Alt + F4 on the keyboard. Use caution when installing free software of Freeware, read the fine print as these programs utilize spyware and adware to fund their software projects. Keep your Windows software updated. Microsoft publishes updates every time they discovers a flaws in their operating system which viruses and spyware find vulnerabilities to penetrate. Ensure that you are utilizing a good software firewall, this blocks attacks on your computer at a remote location and prevents the computer and its network location from being hijacked. My screen icons, text, or font size is too small or too big, how can I fix this? You can adjust your video settings to correct issues with icons, text, or font size being too small or too big. Click Start, and then choose Control Panel. In the drop down menu, click and drag the vertical slider control to change the screen resolution. If the new settings are compatible, the screen will reappear with the new settings. Click Yes, if you want to keep the new settings. Click Medium- 125%for a moderate increase, or Click Larger 150%for a bigger increase in size. Click Apply to apply these settings. You will need to log off and log back on for the settings to take effect. Navigate to Control Panel and choose Display. Click Change the size of all items. Select the option Smaller or Medium. To change the text size of a particular item on the Desktop, locate Change only the text size. Select an appropriate item from the Drop-Down list. How do I wake up my laptop from Sleep or Hibernate mode? You can wake up your laptop from sleep or hibernate mode by pressing the power button. On some laptops you may need to click a mouse button or press a key on the keyboard. Some laptops wake up when you open the lid. How do I put my laptop to Sleep? To keep your computers sensitive information safe from others while your computer is left unattended it is best to put it to Sleep. The easiest way to do this to use keyboard shortcuts. How do I lock my computer when it is unattended? To keep your computers sensitive information safe from others while your computer is left unattended it is best to lock it. The easiest way to do this to use keyboard shortcuts. You can also lock the computer by using the Start Menu. How do I change the settings for Sleep and Hibernate mode? You can make changes to when and how your laptop goes to Sleep or Hibernates by changing the power settings. From here you can make changes to what the power button does and what closing the lip to your laptop will do. How do I backup my files and information from my laptop? There are various reasons to backup your files from a personal computer. Files can be lost due to viruses, hard drive issues, accidental deletion, and from theft of our equipment. It is essential to keep regular backups to ensure that you do not lose any files which are important to you. There are a many options available to you when backing up your files, ranging from external hardware storage to online storage options. A couple of these options are listed below. More information can related to Google Drive can be found here. You can “drag and drop” files directly into you Google Drive or you can use the file uploader. When using the file uploader, you upload files individually or entire folders. If you want to upload a folder, you will need to ensure that you have the latest version of Chrome. On the left side, click New. Choose either File upload or Folder upload. *You can choose multiple files by pressing Ctl and clicking on them. You can also drag files and folders directly into your Google Drive. Close all programs and files. Locate the user folder which contains the file you want to backup, right-click, and select Copy. Make sure the external hard drive is plugged in. Note: Close the Auto-Play window if it appears. Locate and right-click on your external hard drive. Depending on the amount of data, this may take several minutes. Hold down the Ctrl key while clicking each folder and file you want to copy. Right-click in the external hard drive window and select Paste. A small dialog box will appear displaying time remaining. Depending on the amount of data, it may take several minutes. Be sure you backup file located in other places like your desktop as well. Double click the external hard drive or USB flash drive. Click through your folders in ensure that your files are all there. If you have had to restore your Windows software, you will want to restore the files from your backup. This is a fairly simple process with just a few short steps. Locate and right-click on your external hard drive or USB flash drive. Right click on your user folder and click Copy. Locate the user folder which contains the file you want to restore your files to. How can I see which operating system I am running? How can I control or customize the notifications area in the lower right corner of my screen? The notifications area is the area at the bottom right of your screen which display icons, on the task bar. In most cases you are able to customize what notifications you see here in the task bar. With most notifications you are able to right-click on them individually and exit or disable them, however some notifications wont allow this. Follow the step below to remove notifications from the task bar. Do I need to download and install all of those Windows Updates? For security reasons, it is important to download and install Window updates as they become available. By keeping your Windows software up to date, you are ensuring that your privacy and sensitive personal information is protected. Below are the directions on how to bring your computer up to date both manually and automatically. Login to your computer as the Administrator or a user that has administrator permissions. After Windows checks for updates, if any are available, you will have the option to install them. This process can take some time, be patient. Click install updates, your computer will most likely require a restart after the updates have finished install. Keep in mind that you can set the automatic times for the updates to download for anytime, day or evening. It is recommended that you set this automatic download time for a time when you are not using the computer to avoid a downtime or a slowing down of your computers performance. You will need to visit Microsoft Office 365 for students to install the latest free version of Microsoft Office 365. What should I do if I can’t see messages from my instructor in V-Camp? If you are logged into V-Camp and cannot see any messages from your instructor, you should contact V-Camp directly using one of the methods below. What do I do if I forgot my V-Camp password or login information? If you have forgotten your V-Camp password or login credentials,you can contact the V-Camp support 24 hours a day by phone or email. How do I login in to my classroom on V-Camp? From your web browser, you will need to navigate to your programs url address. This address will vary depending on your program. Why is V-Camp not automatically logging me into the library? If you are logged in to V-Camp and are being prompted to login into the library, you will need to clear out your browsing history, cookies, and cache. I still can’t login to the library, help!! If you know for a fact that your Bethel Gmail user name and password is correct but you still can’t login to the library, you will need to update your Gmail settings. How do I login to to the online library? If you are already logged into your classroom in V-Camp you can click on the library tab to access the online library. By doing so, you will automatically be redirected to the library and logged in using a single-sign-on process. There will be no need to log in again since you already logged into V-Camp. If you have forgotten your Bethel University email password, please contact the Help Desk by using this request.